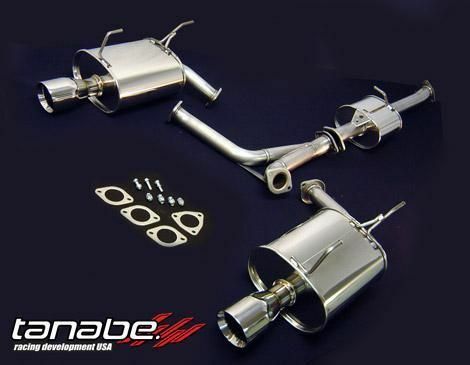 This is one of the best dual exhausts out there for the S2000 in regards to quality, sound and looks! Very minimal drone. Quiet around town and opens up once you get on it. We have them on sale for $774.99 shipped anywhere within the continental US. All orders shipped out! 3 left in stock now! More in stock ready to ship out! 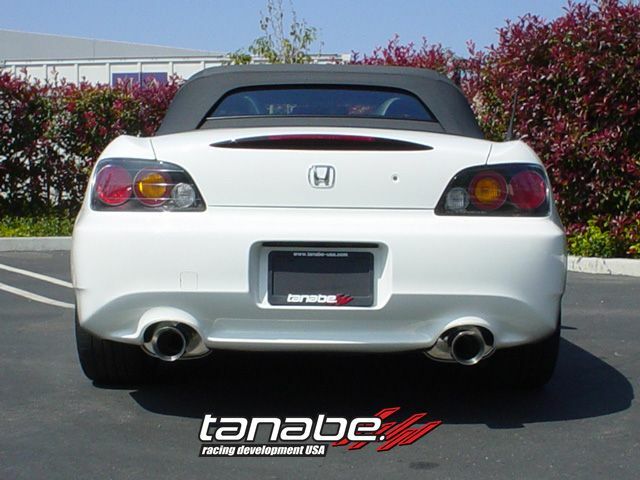 Tanabe website says this only fits MY 00 - 05. No go for 06 - later? Have one on my 2006. Fits just fine. They fit all year S2000's! Do these offer any documented power gain over the stock system? I have the Q300 on the car at present. Links appreciated! Can't give you an honest answer on that as I did not have mine dyno'd prior to putting the exhaust on. With the new Kraftwerks kit, Skunk2 Alpha header, HFC and Tanabe exhaust my car did make 428hp. Nice thing about this exhaust is that is has a nice deep tone to it and not noticeably louder than stock...until you push down hard on the fun pedal.